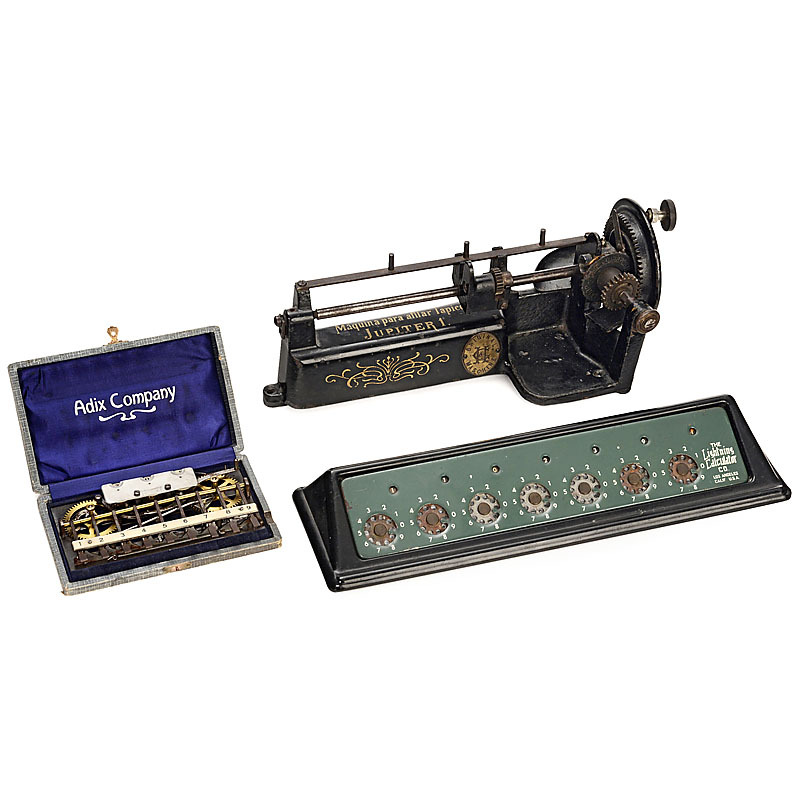 1) "Adix", 1903, attractive 3-digit adding machine with 9 keys, no clearing. In original velvet case. – Very sought-after collector's item. (3-/4) – 2) "The Lightning Calculator". (3-/3) – And: 3) Pencil sharpener "Jupiter 1", c. 1920, original condition.